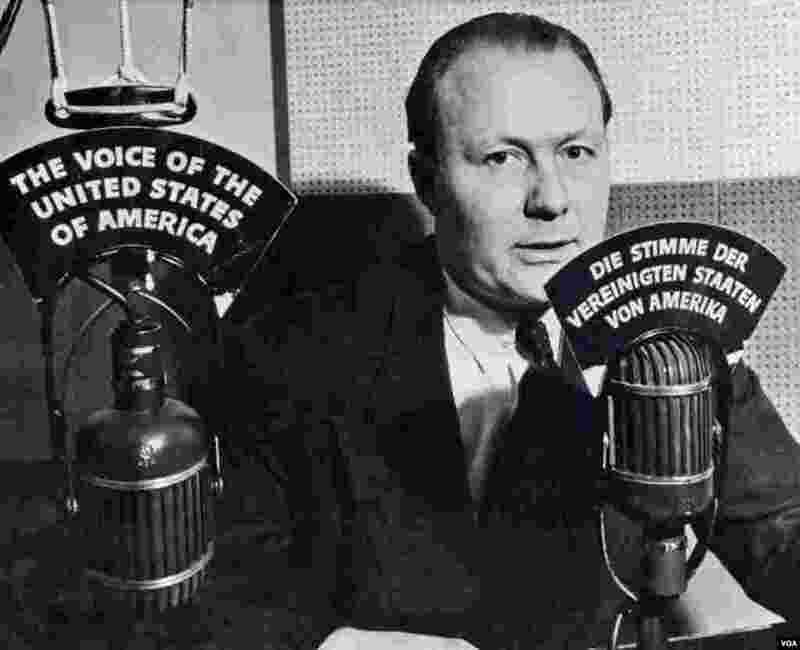 1 Early German-language VOA broadcaster, Robert Bauer. 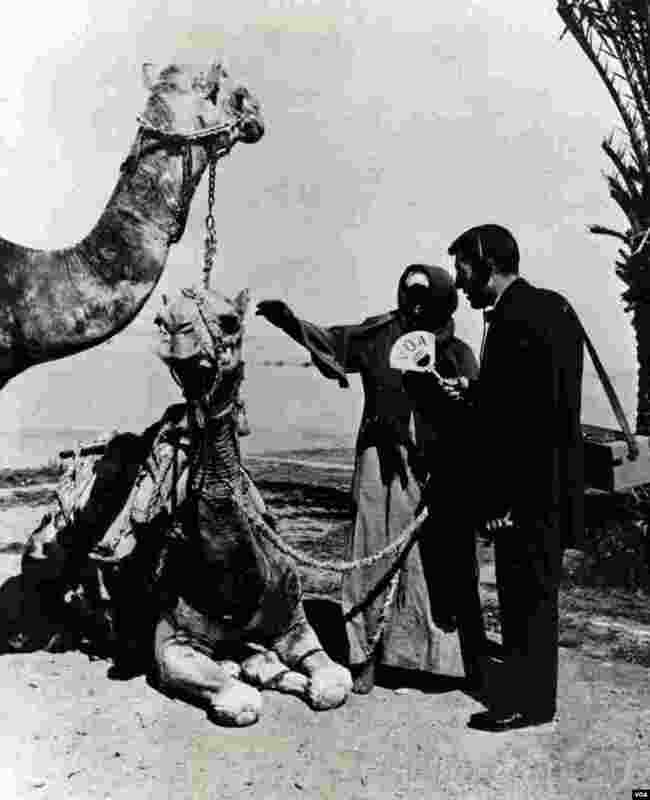 2 VOA reporters have always gone wherever necessary to get the story. 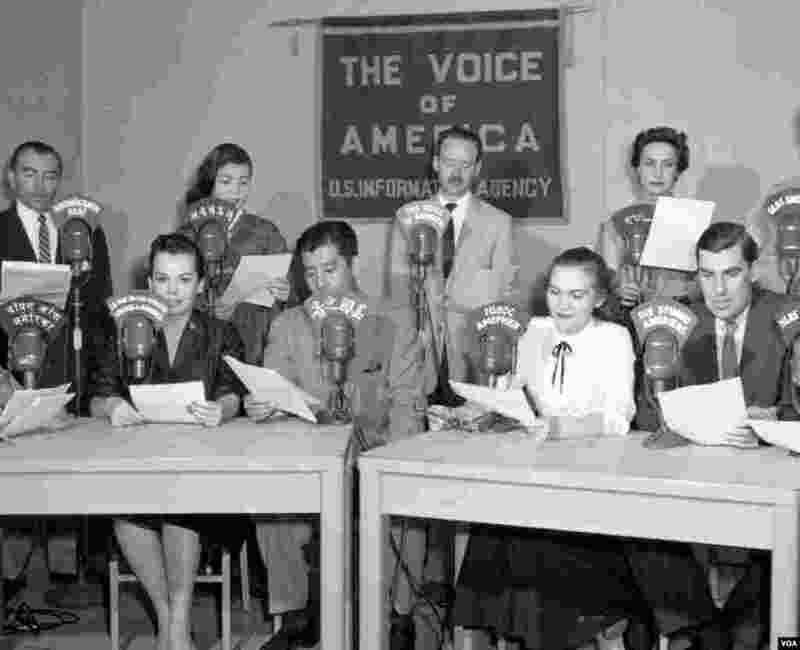 3 VOA broadcasters in various languages, while VOA was under the U.S. Information Agency. 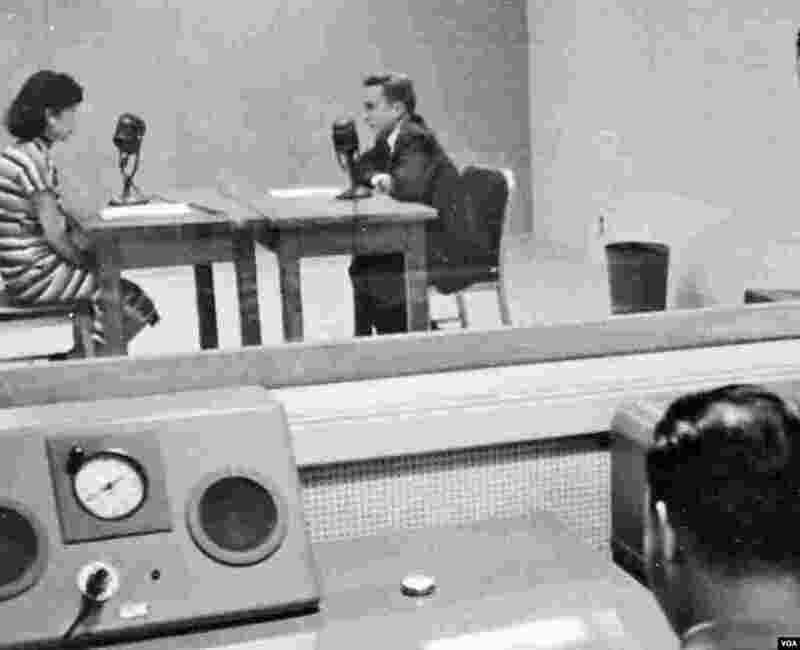 4 An early radio studio, from the perspective of the control room.